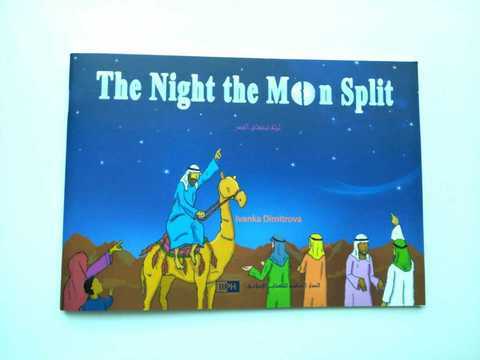 The Night the Moon Split takes young readers on a journey through time, back to the days of Prophet Muhammad SAW. It describes one of his greatest miracles: the splitting of the moon. The essence of the story is not only the miracle itself but what it teaches us: that nothing on this earth, or even in space, is eternal and everlasting, and that everything around us happens by the will of Allah the exalted. 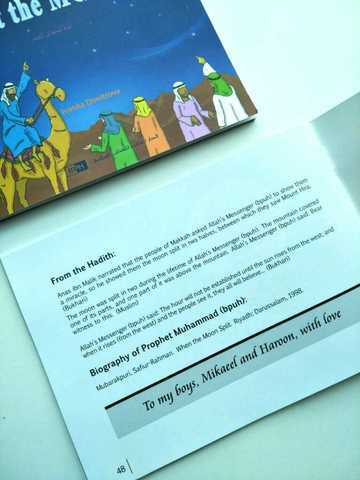 This remarkable event is related as a bedtime story told to a young Muslim boy. 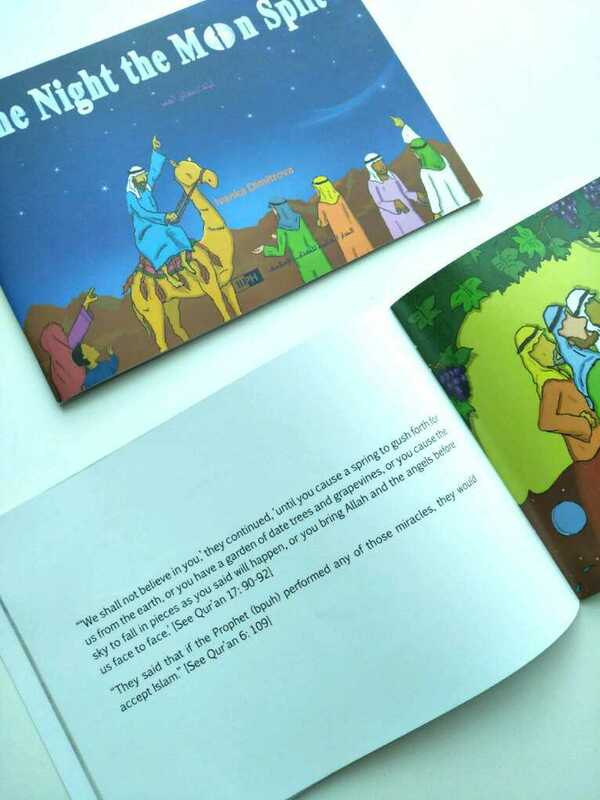 The interaction between Rami and his mother brings the story to life in a way that children will find fast-paced and entertaining yet easy to understand. Written in language that is appropriate for children, this story is an excellent choice for both read-aloud and independent readers. Recommended for ages 7-12.